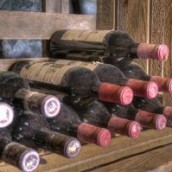 Following a few simple guidelines should keep your wines safe until you’re ready to drink them. We’ve reached the end of our 30th anniversary celebrations and there is no better way than to thank you for your support this year by offering you a very special selection of wines to enjoy over this festive season. We have some fantastic MCC sparkling wines on offer and remember all online purchases include door to door delivery anywhere in South Africa and is included in the price. Shows ample plum and blackcurrant aromas with oak spices in the background. Medium to full-bodied, berry fruit flavours with delicate wood spices and a lasting aftertaste. Perfect with Parma ham, roast lamb kebabs and a hearty oxtail meal, an ideal accompaniment to robust Italian dishes. Nose – Prominent plum with blackcurrant and tobacco in the background. Palate – Soft velvet and well rounded with plum and cherry fruit integrated with oak. The winemaker recommends enjoying this wine on its own or with a serving of any red meat. Casseroles, poultry, game, seafood and pasta come to mind. 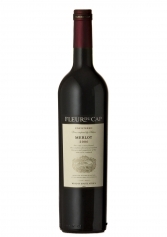 Our featured wine is the Fleur du Cap Cabernet Sauvignon 2003. Prominent primary fruit with a good structure and a youthful edge. For a great vintage wine to try this weekend, have a look at the Alto Cabernet Sauvignon 2003. Cigar box with ripe cherries and plum aromas and a hint of mint. Cherry sweetness comes to the fore but is balanced by tannins, with oak an vanilla on the aftertaste. 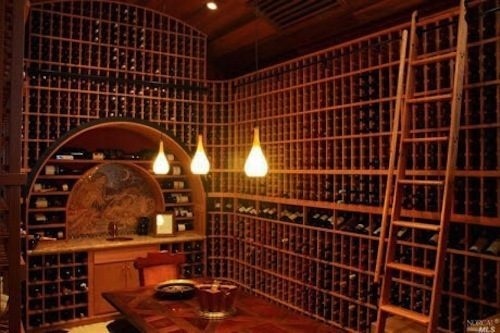 Storing wine is very important, but sometimes overlooked. It can be tricky sometimes given to certain circumstances, but doesn’t need to be fine art. Most wines are now sold ready for drinking and do not need to be left to mature, however, most will improve in flavour if kept for a while before drinking if stored in the right conditions, with the exception of very light-bodied or cheap red wines. Given the right conditions the length of time a wine should keep varies with its type and year of production. The weather affects the acidity and tannin content of grapes and these, in turn, affect the way it keeps. An ordinary wine from a good year may keep as long as a good wine from a poor year. As we are not all wine experts the best idea is to seek help and advice from a good wine merchant. Some rough rules to remember are that not all wines improve with keeping. Secondly, plonk stays plonk no matter how long you keep it and keep in mind that white wines mature faster and fade faster.